When I encountered this thin triangle print fabric, I knew I would want to use it for a small fashion doll outfit. The fabric was made into this dress and I accompanied it with a matching light gray felt vest and cream organza underskirt. The dress was made to accommodate a variety of fashion dolls including Momoko, Model Muse, petite Barbie, and tall Barbie. It even fits Poppy Parker, Tiny Kitty, and Liv dolls (snug at bust). Get it here in the shop, while supplies last. It has been a while since I have added some new sets to the shop, but I've made some time to do it lately. In this set, I learned how to do an embroidered bullion rose. I enjoyed it so much that I think I will be making more embroidered flowers in the future. The dress fabric was given to me by my grandmother when I was a child. I knew if I kept it long enough I would find a great use for it. There is something else extra special about this outfit -- I still plan on doing more Dolly Bureau pattern books and a tutorial on how to make this dress for any sized doll is planned in volume 5! 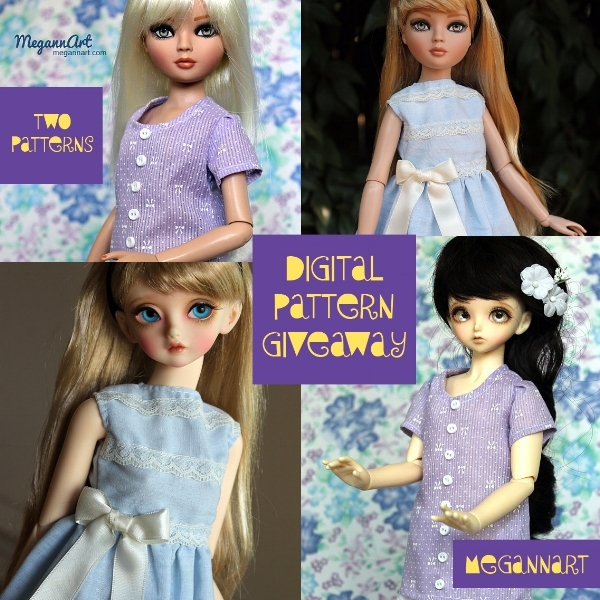 This dress set fits a variety of dolls, including the MiniFee Celine pictured. Click on this listing to see who else it might fit. Support an artist! Visit my Etsy shop. You can also follow my Instagram, Twitter, Facebook, and Pinterest pages. It is time for Lati Yellow and her friends to spiff up their wardrobe. I started this pattern ages ago and it is finally done! The skirt fits Lati Yellow, PukiFee, Tiny Betsy McCall, and Odecco. Pictured above is an Asleep Eidolon that is about the same size as Lati Yellow. Pictured below is Tiny Betsy McCall. Get it in the shop while you can! Also, the FACTORY CLEARANCE SALE has begun. Look for items in the shop that will be added regularly. 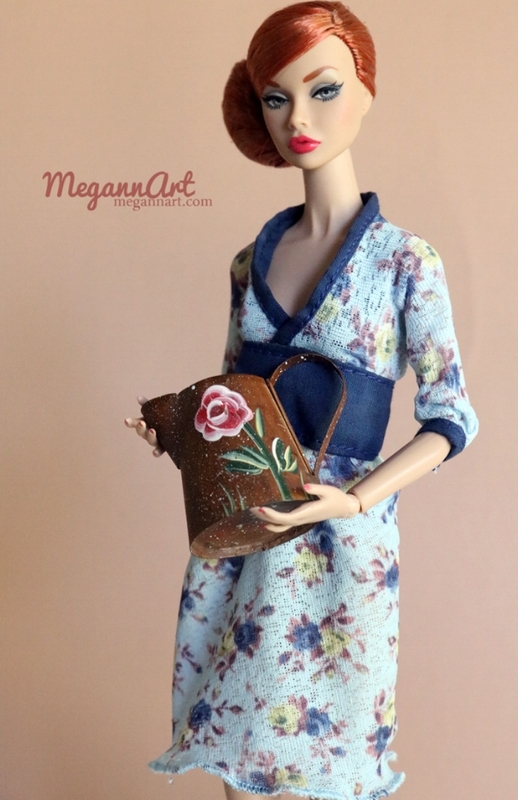 This tunic dress has a tiny bit of stretch in the blue floral print and can fit a variety of 1:6 scale fashion dolls. I thought it looked best on Poppy Parker. It has been confirmed to adequately fit Poppy Parker/Misaki/Amelie, Jenny, Momoko, Fashion Royalty, NuFace, Victoire Roux, FR Monogram, Dynamite Girls, Model Muse, Silkstone Barbie, Susie, and Liv dolls. Only one is available. Get yours in the shop while you can!